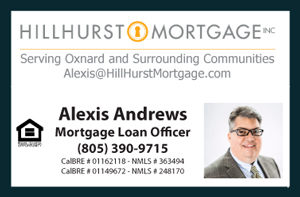 I'm really excited about just selling this property to another wonderful family located at 161 South H St. in the beautiful coastal city of Oxnard, California. The property is located across from the old Oxnard High School, a few blocks to the Oxnard Airport and less than 4 miles to the beach. This property SOLD for $360,400. The property was built in 1950. The house features 2 bedrooms 1 bathroom with approximately 822 square feet of living space on a large corner lot that measures over 6500 square feet. The home has a detached 2 car garage with access via an alleyway. I would like to thank Robert Sandoval, from Malibu Funding, for providing the financing. I also want to thank Vickie Gosnell from Gosnell Realtors for her cooperation on the listing side of the transaction. This property was SOLD before processing by David Tovar of Exit Castillo Realty. Listing courtesy Gosnell Realtors. For similar results please contact David directly at (805) 444-6366.